The UK Government is "under an obligation" to end its administration of the Chagos Archipelago "as rapidly as possible" the International Court of Justice, the principal judicial body of the UN, stated in an Advisory Opinion released on Monday. The Opinion calls the continued administration of the archipelago "unlawful," and "a wrongful act." The entire Chagossian population was forcibly removed from the territory between 1967 and 1973, and prevented from returning. The former islanders are dispersed in several countries, including the UK, Mauritius and Seychelles. For the Court, ending the UK administration of the territory is a necessary step to the full decolonization of Mauritius in a manner "consistent with the right of peoples to self-determination." It includes a reminder that all Member States have an obligation to co-operate with the United Nations in bringing about the full decolonization of Mauritius. This would include the resettlement of Mauritian nationals on the Chagos Archipelago, an issue described as relating to the "protection of the human rights of those concerned." It states that, after a review of the circumstances in which the Council of Ministers of the colony of Mauritius agreed in principle to the detachment of the Chagos Archipelago, "the Court considers that this detachment was not based on the free and genuine expression of the will of the people concerned." 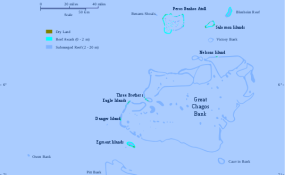 The Opinion was delivered following a request by the UN General Assembly, and a request by Mauritius for the British Indian Ocean Territory, which includes the Chagos Archipelago, to be disbanded and the territory returned to the country, as well as a legal challenge by Mauritius to the UK Government's creation of a marine protected area around islands.